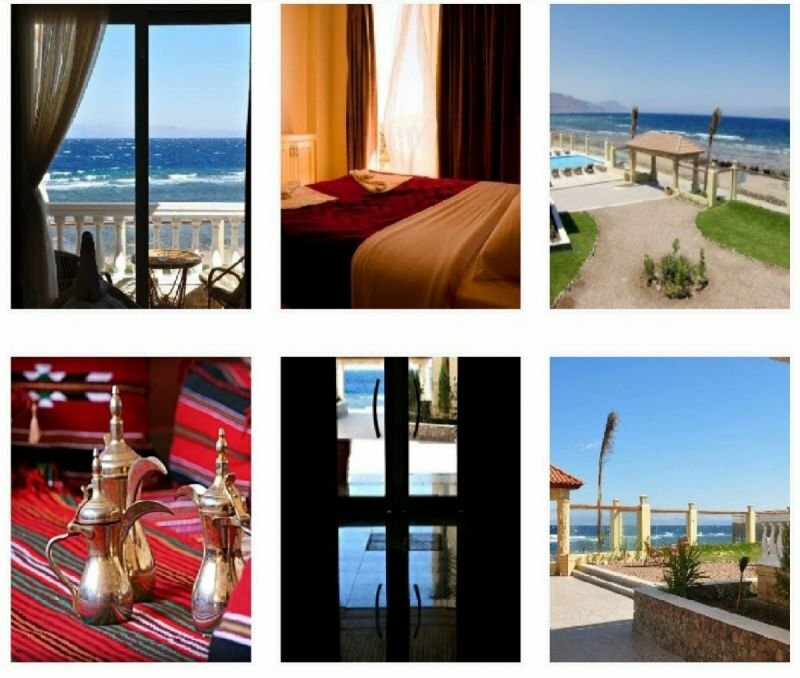 Dahab Hotel With a private beach in central Dahab, this hotel provides rooms with balconies overlooking the Red Sea and the Gulf of Aqaba with the back drop of the Saudi Arabian mountains. Dahab Hotel features an outdoor pool and a Bedouin-style lounge café. All of Dahab Hotel’s rooms are air conditioned and equipped with a minibar. The private bathrooms are fitted with a shower. Hotel Dahab serves a daily breakfast with Egyptian bread, cheese and honey. For lunch and dinner, guests can enjoy Arabic and international meals. in Dahab Hotel There is a TV room with DVD player and Wi-Fi access is free in all the public areas. Guest can also work out in the on-site gym or join in a yoga session. Diving instructors and equipment are also available. Dahab Hotel is a 5 minutes-walk to the Dahab Bay, and just over one hour’s drive from Sharm El Sheikh Airport. Free parking is available in front of Dahab Hotel.